Under-15s Head Coach, Brian Allen, said: “We are blessed with another exciting group of cricketers and we’re looking forward to getting everyone together and getting underway. The Under-15s Boys team had a successful 2018, which included victories over Middlesex, Scotland, Jersey and Berkshire under-age sides. 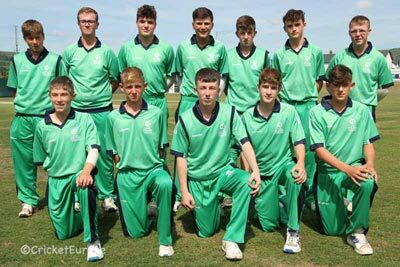 Off the back of their performances at Under-15s level, a number of this year’s squad - notably captain Tim Tector and opener Nathan McGuire - were recently announced as new members of the Cricket Ireland Academy.